Nicole Forsyth, a professional viola player and casual lecturer at the Sydney Conservatorium of Music, is currently researching the Rouse Hill House & Farm sheet music collection for her PhD. She is working with Dr Matthew Stephens, Sydney Living Museums’ research librarian and the instigator of an award-winning program exploring music at Sydney Living Museums sites, to create a more detailed sheet music catalogue for the use of heritage professionals and the public. Nicole and Matthew are also developing new ways to engage public audiences with the ‘intangible objects’ of sound and music on a heritage site. Nicole is enjoying the opportunity to work with curator Dr Scott Hill and property staff at the evocative Rouse Hill House & Farm, where sheet music is squirrelled away in every drawer, storeroom and cupboard. Most recently, she has delighted in rediscovering the top ten hits of the late 80s and 90s – the 1880s and 90s, that is! So far, most of the music Nicole has found at the house is for piano solo, piano four hands (duet), or piano and voice, and is of a popular nature. There are lots of social dances such as quadrilles, waltzes and polkas (including ‘Flick and flock: the firemen’s dances’), often published to mark a special occasion. 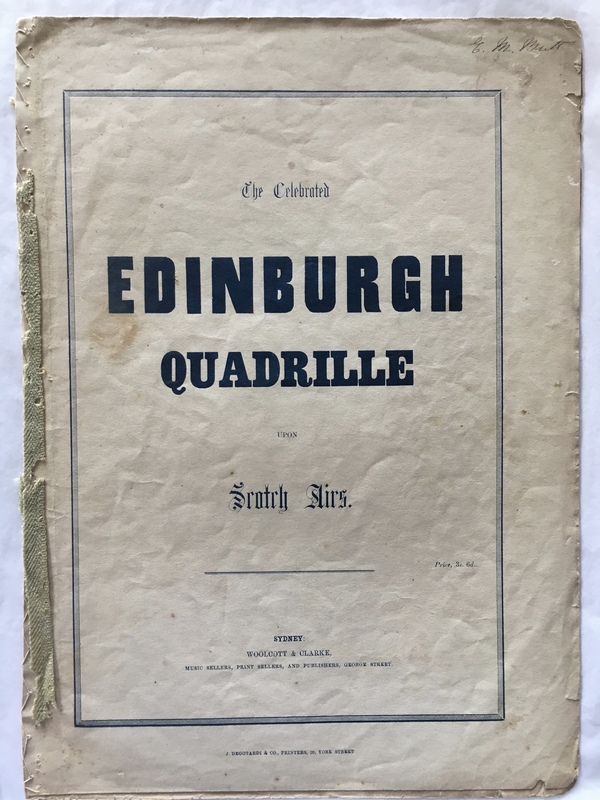 The ‘Edinburgh quadrille’, published in Sydney by Woolcott & Clarke, is a rarity in the collection, where so much of the sheet music was published in England. Nicole’s research complements some of the groundbreaking discoveries made by Dr Graeme Skinner, who has worked on the earlier parts of the Rouse music collection. As she uncovers and examines these musical treasures, Nicole is developing a stronger understanding of the musical lives of the house’s residents. Sisters Nina (1875–1968) and Kathleen Rouse (1878–1932) were evidently both keen pianists and highly musically educated. Their dated signatures appear on more advanced German piano repertoire, such as Plaidy and Czerny studies, and some Mozart and Schumann. Kathleen also annotated vocal music – whether she sang and accompanied herself on the piano, or whether she was accompanying others, we don’t yet know, but the markings are those of a trained musician with a knowledge of vocal technique. By contrast, the collected sheet music that appears to belong to the girls’ parents, Edwin Stephen Rouse (1849–1931) and Bessie Rouse (nee Buchanan) (1843–1924), consists mostly of comic songs, sentimental love songs, and sacred songs to be sung at home rather than in church. Most of these publications were cheap and readily available – the latest ‘top ten hits’ made popular on stage by local and international singing stars. Notably, the song themes are highly gendered: men sing about adventure on the high seas, travel, or working on the railways or in the fields, while most of the songs for women are sentimental – about home, loved ones or longing for heaven! Nicole Forsyth researching music in the Rouse Hill House arcade. 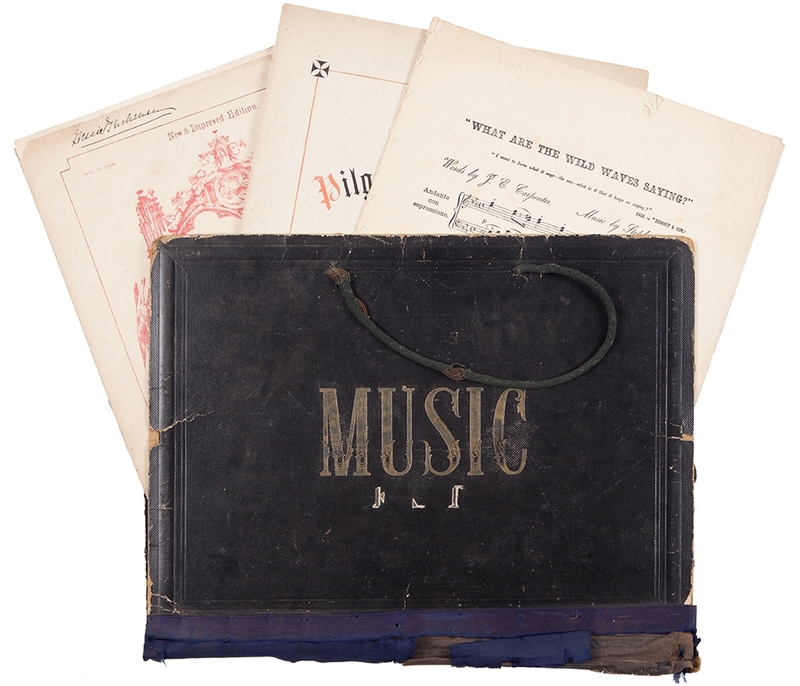 Leather-covered music folio from Rouse Hill House & Farm. 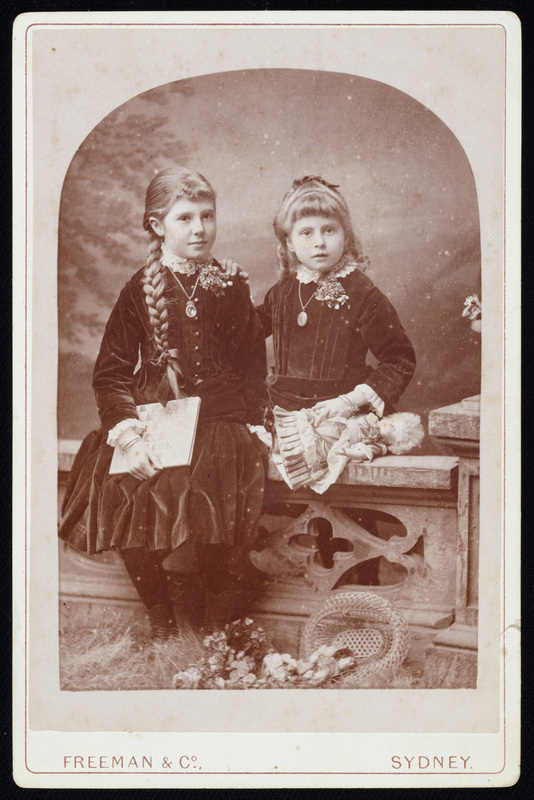 Nina and Kathleen Rouse, c1886. ‘The celebrated Edinburgh quadrille upon Scotch airs’, Sydney: Woolcott & Clarke, [185?]. P. Hertel, ‘Flick and flock: the firemen’s dances’, London: Novello, Ewer & Co., [between 1867-1876]. Soprano Nyssa Milligan describes the experience of performing at Elizabeth Bay House in the recent collaboration between Sydney Living Museums and the Sydney Conservatorium of Music. 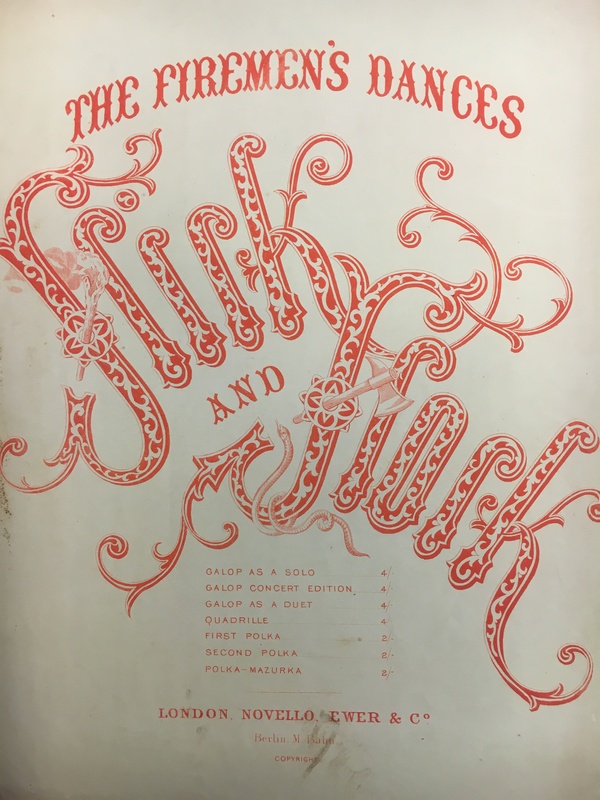 Musicologist Dr Graeme Skinner reflects on the historical and cultural significance of the sheet music collections belonging to three of Sydney Living Museums’ historic properties. On 28 March 2017, concert goers at Elizabeth Bay House experienced a magical evening contrasting two different musical worlds. On the evening of 28 April 1899 the first act of a concert held at Rouse Hill House finished with a song performed by the jovial host, Edwin Stephen Rouse (1849–1931). The stories and collections of our properties contain compelling clues about the music played and enjoyed by earlier generations. Through exciting new initiatives and research we’re reviving these soundscapes for modern audiences. A new short film, 'Sweet Noise: Making Music at Vaucluse House', documents preparations for a musical performance in one of Sydney Living Museums' historic houses. Sydney Living Museums has announced a new partnership with the University of Southampton and the Royal College of Music as part of a three-year research project exploring domestic music and heritage in the Georgian home. In an exciting collaboration between Sydney Living Museums and the Sydney Conservatorium of Music, performers from the Historical Performance Unit are bringing to life a previously unknown collection of sheet music which belonged to a young Sydney couple in the 1830s. On the 28th of March 2017, an international forum of invited experts spent a day at Elizabeth Bay House sharing their knowledge about music making in historic houses. Hard as it is to imagine men and women in the government institutions at Hyde Park Barracks singing and dancing, archaeological evidence suggests that music may have been heard there from time to time. Sometimes good music takes a while to be appreciated. For the first time, on the 11th of October, a lively dance tune published in Sydney over 160 years ago will be performed at Vaucluse House as part of its centenary celebrations. One of Sydney Living Museums’ pianos is almost 200 years old and has not been played since at least the 1960s. We ask Bronwen Griffin, musical instrument conservator, and Professor Neal Peres Da Costa, historical keyboardist, for their thoughts on the piano’s future care. A recently acquired collection of printed sheet music provides valuable insights into Sydney’s music trade and concert scene in the 19th century and offers opportunities for musical interpretation of Sydney Living Museums’ places.